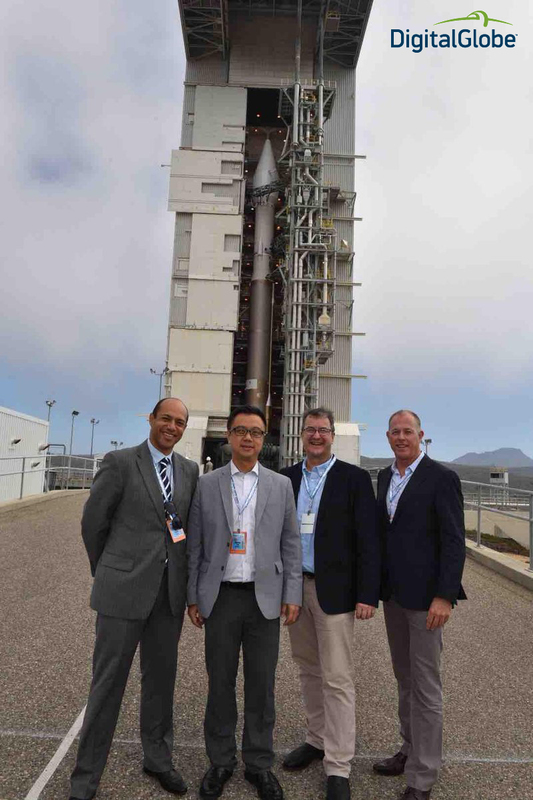 Managing Director of Jensen Bowers and Geoimage, Tony Evans, is attending tomorrow’s launch of WorldView-4 (WV-4) – the newest high-resolution commercial satellite to join the world’s leading constellation. The satellite, owned by DigitalGlobe, will orbit at an altitude 617km above the earth and capture up to 680,000 sq km daily at 30cm resolution. WV-4 will significantly increase DigitalGlobe’s ability to capture worldwide imagery from their constellation of WorldView 1, 2 & 3, GeoEye-1 and QuickBird2 satellites. This means quicker captures, more coverage and highest resolution satellite data. As Managing Director of both companies, Tony is bringing together the innovative technologies and services to provide Jensen Bowers with a performance capability no other company can currently match. “We are exploring new opportunities to leverage unique expertise and intercompany capability to translate data acquired from our surveys, UAV, laser scanners, satellites and more into packaged solutions to provide our clients their competitive edge”, Mr Evans said. The launch will be attended by Mark Edwards, Geoimage General Manager, and Tony Evans, Director who are among the privileged few from companies, dignitaries and government agencies around the globe invited to the launch. It is scheduled for this Friday, 16 September at 11.30 AM (PDT) from the Vandenberg Air Force Base, California, United States. For more information, read Geoimage’s article, here: http://bit.ly/2cUiCBw. To learn more about Jensen Bowers and Geoimage’s services, please call our head office on 07 3852 1771.